Track legislation, regulations, social media, and documents in Congress, state legislatures, and the European Union. 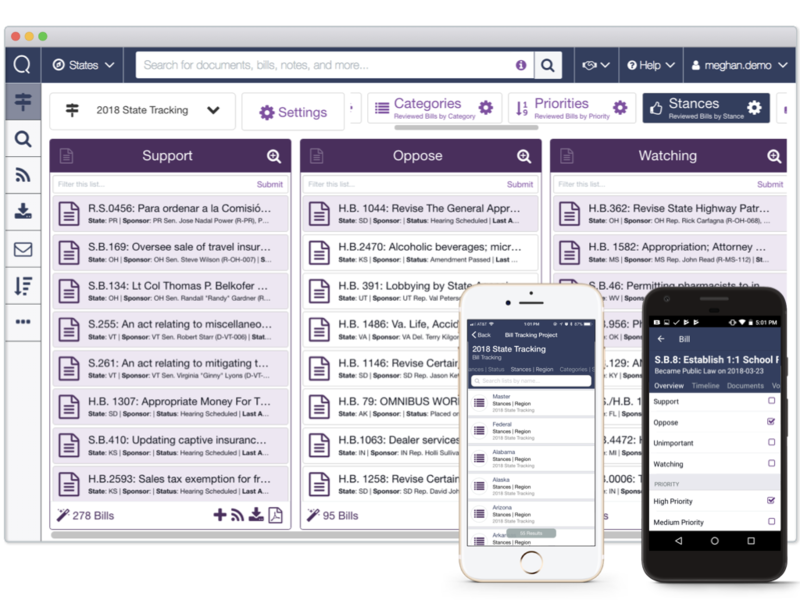 Easily manage your legislative tracking across Congress, all 50 state legislatures, all US territory assemblies, and the EU with modern dashboards customized by issue area, keyword, stance, and priority so your team can collaborate and stay on top of every bill impacting your organization. It’s not enough to only follow bills. 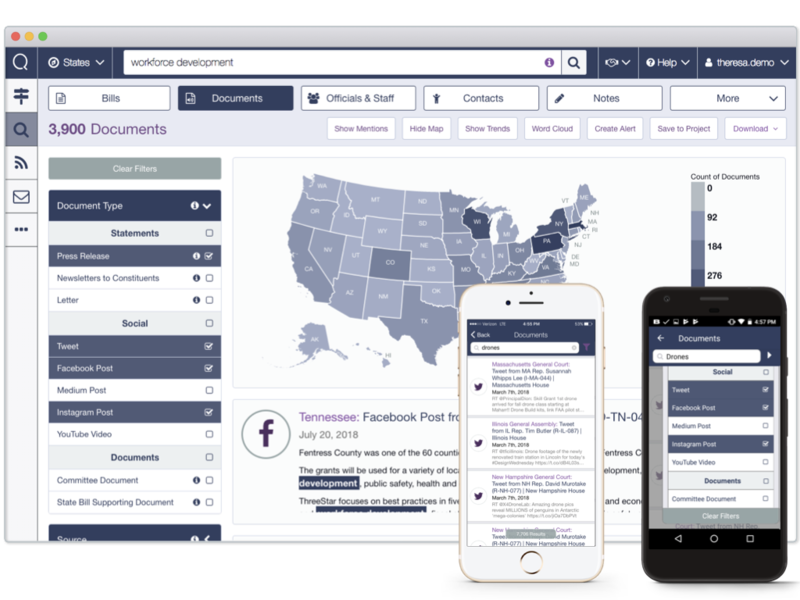 Quorum’s database ensures you have access to all statements from public officials mentioning your issues or organization across their press releases, newsletters to constituents, tweets, Facebook posts, and more. Be alerted in real time whenever there’s a hearing scheduled, related document, or a status update to a regulation you follow. 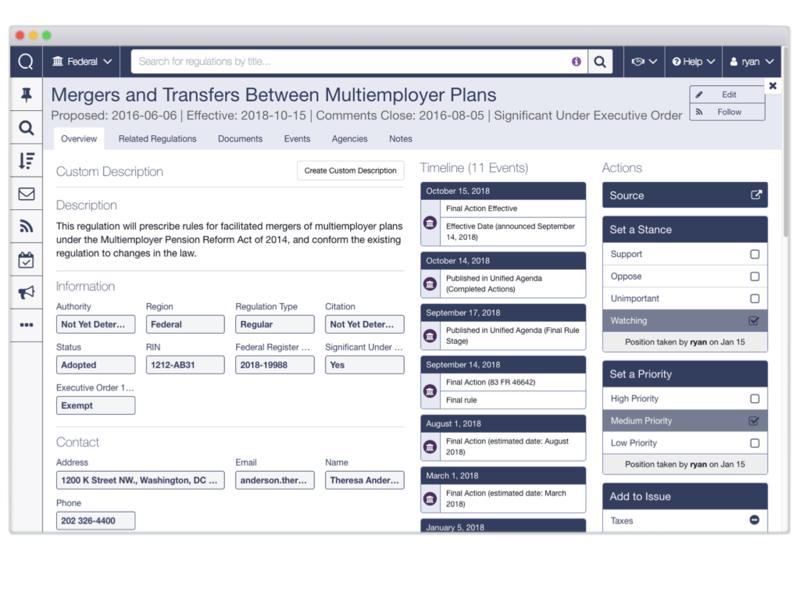 Quorum pulls new data multiple times per day from sources including state and federal registers, the Office of Information and Regulatory Affairs (OIRA), the Office of Management and Budget (OMB), regulations.gov, and more so that you stay connected all the way through the regulatory process. 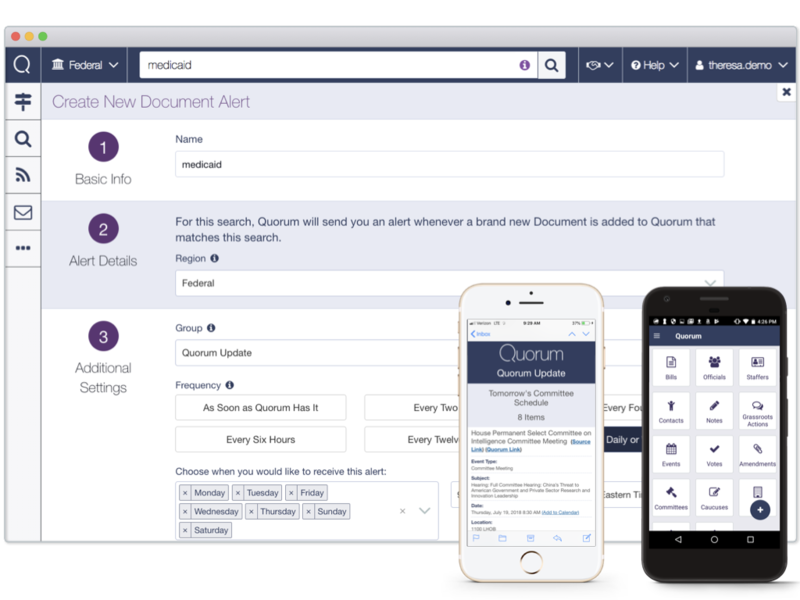 Set up email alerts on anything in Quorum—changes in legislation, committee hearings, or new votes—so you have time to focus on what’s important instead of worrying about whether or not you’re following the latest bill. 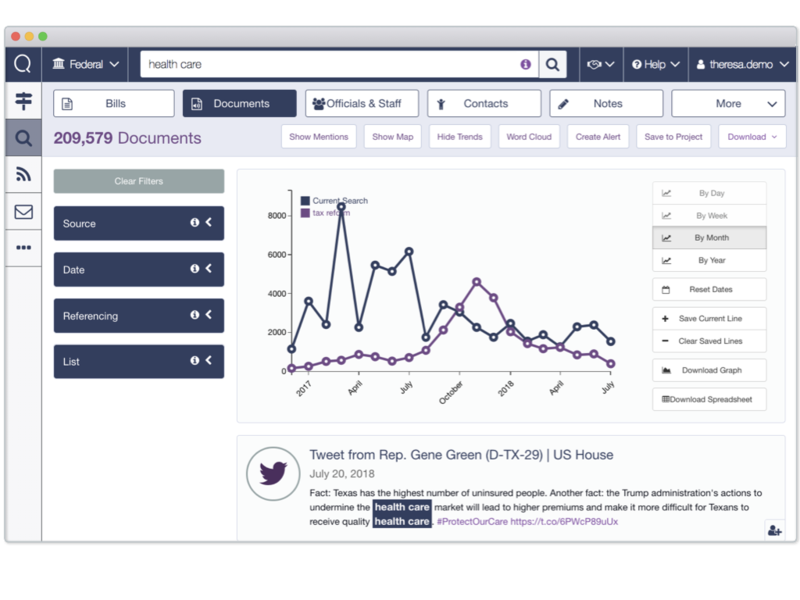 Make sense of thousands of public statements, bills, documents, and relationship notes by creating charts that plot trends over time, across geographies, and by legislator. Download visualizations and reports with a single click to share insights with your team.